A forward thinking Chartered accountancy practice in Radlett, Hertfordshire with a modern approach. Find out if we are the right accountants for you. These news items are for guidance only and professional advice should be obtained before acting on any information they contain. Nagler Simmons accepts no responsibility for loss suffered by any person as a result of action taken or not taken as a result of the contents of these items. 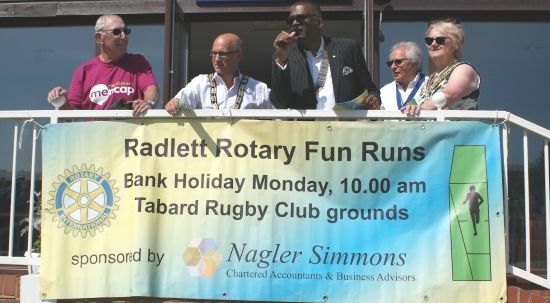 Nagler Simmons is delighted to once again sponsor the Annual Radlett Rotary Fun Run on Monday 6 May 2019 (May Day Bank Holiday) at the Tabard Rugby Club Grounds, Cobden Hill. Held at at Radlett Cricket Club on Monday 1st May. The results are in… A link to the many photos taken on the day will be posted here very soon.